Chapter 3 page 4 is up. 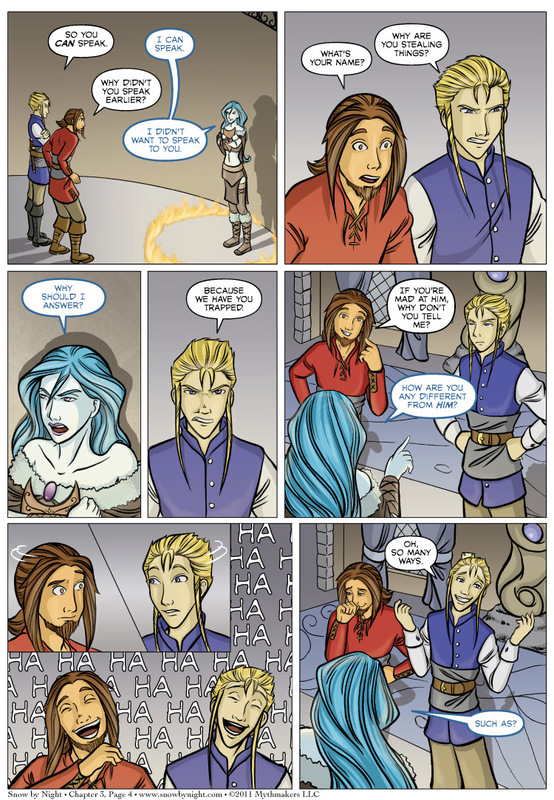 Blaise and Jassart continue their interrogation. Or at least try to. They seem to be losing control of this conversation pretty rapidly. To see Blaise and Jassart’s answer to “who stole the cookie from the cookie jar,” please vote for Snow by Night on top web comic. Is this one of that situations where apparent hostile opponents begins to talk to eachother like old friends, in a humoristic tone, before realizing they are missing the main topic?